I realize that I kind of fell off the bandwagon this week in regards to blogging. My apologies. The break, although not necessarily purposeful, was much needed. My mind has been wandering lately, and I felt like it was good for me to unplug (well, not completely unplug) and perhaps get some thoughts together. The thoughts, well, they're not really all together yet. But they're getting there. It seems no matter where I turn that I am being constantly bombarded by the themes of legacy and the passing of my faith. I have been affected for sure, but to get the words to paper have been harder than I imagined. I am hopeful I will be able to blog about it soon, because honestly, legacy is probably one of the things most dear to my heart. The other reason I haven't blogged as much is that life is just plain busy. We have Mothers Day Out (affectionately titled "school" to the boys) twice a week. It is my reprieve, my quiet, and my day to do things that I wouldn't normally be able to do lugging around two 30+ pound preschoolers. Add to the mix AWANA and swim lessons two nights a week, and BSF one morning.... our weeks are full. Good, but full. This weekend was pretty mundane. I cleaned the house, did some personal shopping, cleaned the cars and later Saturday evening we went to dinner with friends. I haven't been that great at taking pictures this week, but I just love this pic I got with my phone on Saturday while we were at a Veterans event. 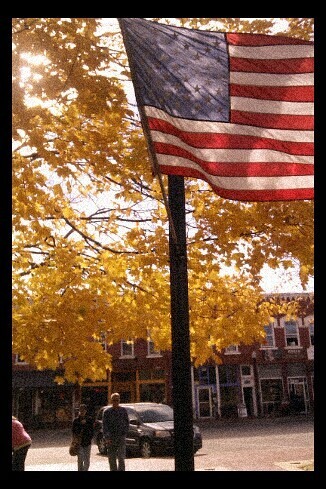 I will miss the fall leaves, which Brayden often points out to me while we're driving in the car. 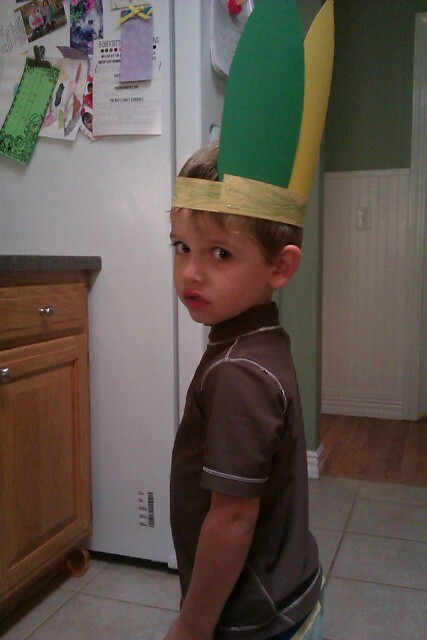 Brayden had a Thanksgiving program at school this past week and they made these little Indian headpieces. I asked Brayden if he was an Indian, and he said "noooo, I'm not an Indian. I'm a bunny!" Oh that boy. He keeps me laughing. I'm hopeful that I can get my thoughts together this week. If anything, you'll get some overload of Connor, who turns two next Monday (I know. I'm so sad about my baby turning 2. Let's not talk about it). Hope you have a great week!